James Johnston joins the Cumbrian law firm Partnership from 1st January 2018. James first came to Burnetts as a work experience student in 2003 before studying Law at Durham University and completing his solicitor training in 2010. From the early days of his career, James was being praised by successive editions of the Legal 500 for his “strategic” and “measured” approach in his specialist field of commercial litigation. He has been Head of Burnetts’ Dispute Resolution team since 2016. James, who is a former Trinity School pupil, lives in Carlisle with his wife and their four children. He is also Chair of Governors at Cummersdale Primary School. Burnetts employs 140 people across four offices in Carlisle, Penrith, Cockermouth and Newcastle. For further information, visit www.burnetts.co.uk. 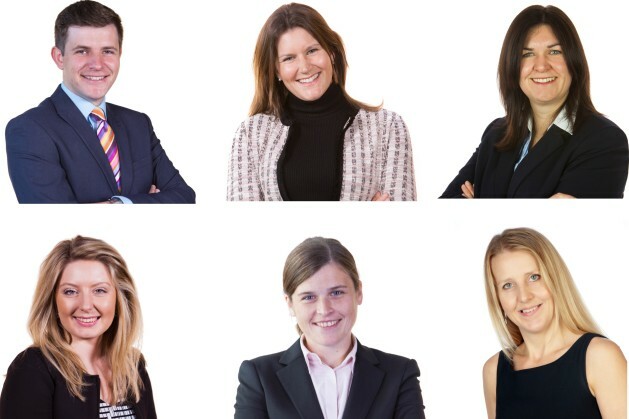 Pictured left to right (top row): James Johnston, Megan Richardson, Jayne McCluskey (bottom row) Melissa McManus, Hannah Fitzpatrick, Caroline Manningham.